Having an eye-catching appearance doesn’t indicate a sound building structure. A proper pre-purchase building inspection is the most reliable process of analysing every part of a structure and knowing its condition. When it comes to building and pest inspection Gold Coast try our pre-purchase building inspections Gold Coast. 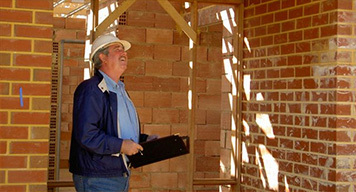 Our trained, licensed and experienced building inspectors in Gold Coast will investigate a property’s condition from top to bottom and report on the building’s condition. This will assist property buyers in determining whether they are investing in the right property. We are one of the Gold Coast’s premier building inspections service providers and offer our clients a quality service at a very reasonable price, try our pre-purchase building inspections Gold Coast. Our primary aim is to provide our clients with a comprehensive report on any type of structure deformation, damage or defect. Our building inspectors always focus on creating simple to understand reporting that may assist in negotiation or budgeting. Call us now on 0401 835 005 for a free quote.